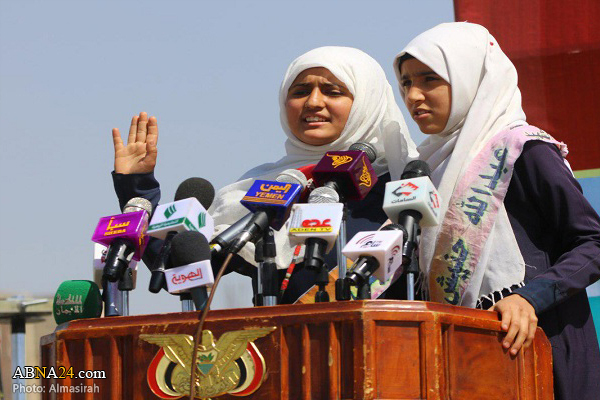 AhlulBayt News Agency (ABNA): During the funeral of the students who were killed by the US-Saudi airstrike, Yemeni children choose to voice the response to such a criminal act. Two student red a letter that expressed their failing out the targeting of their school and the killing of their friends. In a remarkable show of strength, steadfastness and determination they told the enemies of the Yemeni People that will be victorious and you will not.